I had really hoped to get on with updating the blog and playing catch up, but the work I have I been doing at Heathrow T5 hasn’t let up all week. 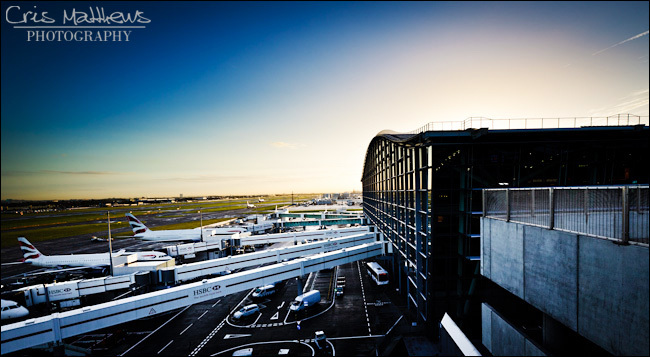 Shooting at Heathrow can be amazing at times, and it can also be frustrating. There are lots of hoops to jump through and just because one person says it’s ok to work there doesn’t mean it won’t upset someone else. You need permits, insurance, security clearance, more permits, the right clothing…… The people are all great, but not being able to stand where you want is really frustrating for a photographer.